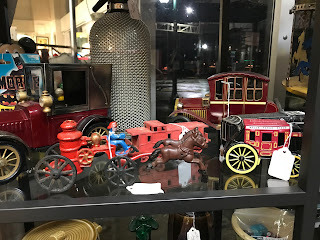 In America, the first wheeled vehicles were made of cast iron, stage coaches and fire engines with horses were some of the first ones on the market. Heavy, sturdy, painted and rust prone but a lot are still around and there are tons of reproductions out there too. Why did America use cast iron? Because it was cheap with the enormous deposits of ore in the Northeast and boys wanted MACHINES. 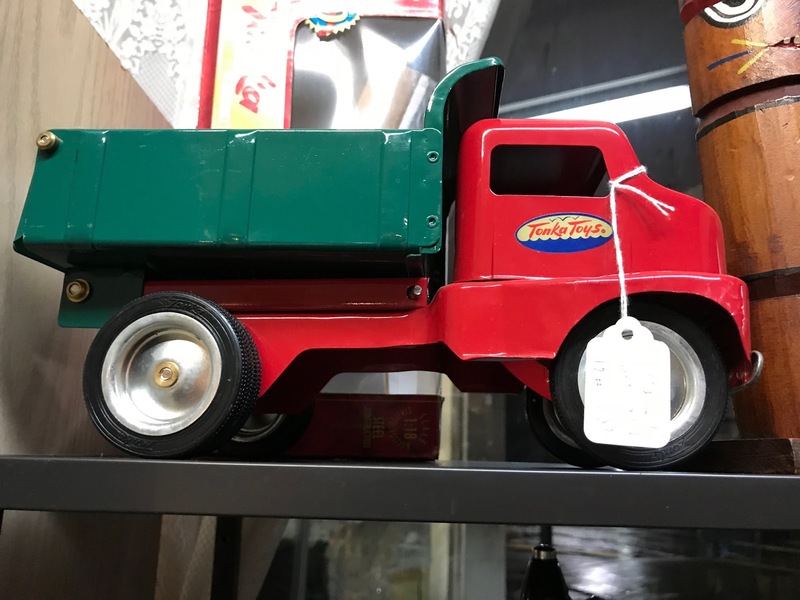 Wilkins toys, taken over by Harry Kingsbury answered the call with the first ever toy horseless carriage. 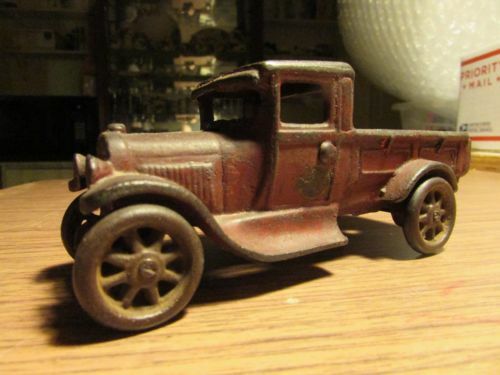 All vintage fans have heard of Hubley cast iron. They made bookends and banks and shoe scrapers and lots of toys: Harleys, Indian Motorcycles and Borden Ice Cream Trucks and many more can still be found although the prices are climbing steadily. 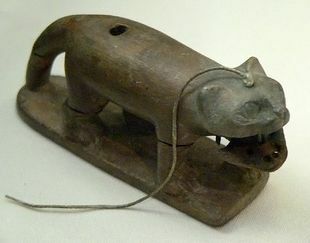 Hubley made it through the depression but WWII signaled the end of cast iron because it was needed for the war effort. 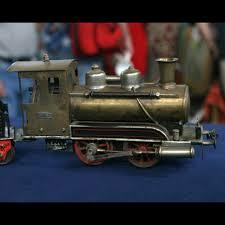 They made the transition to zinc alloys along with Tootsie toys and survived until they ran out of steam in the 1960s. Check your Hubley ‘s age with a magnet. Cast iron is magnetic, zinc is not. 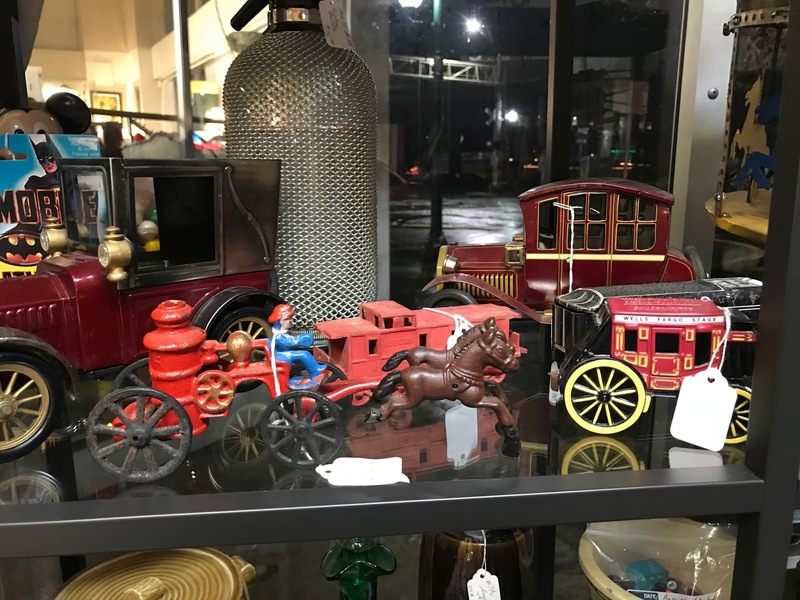 The first big wave of the future of wheeled toys came out of Germany when Marklin hit the market in 1859 with amazing toy trains. They dominated the market and still among the most collectible old toys. Save the boxes if you have them, they add immensely to value with collectors. The German manufactures were able to dominate because they discovered toys could be built cheaply and were beautiful, using the new technology. Although this paragraph is from Marklin, the process was similar for all tin toys. 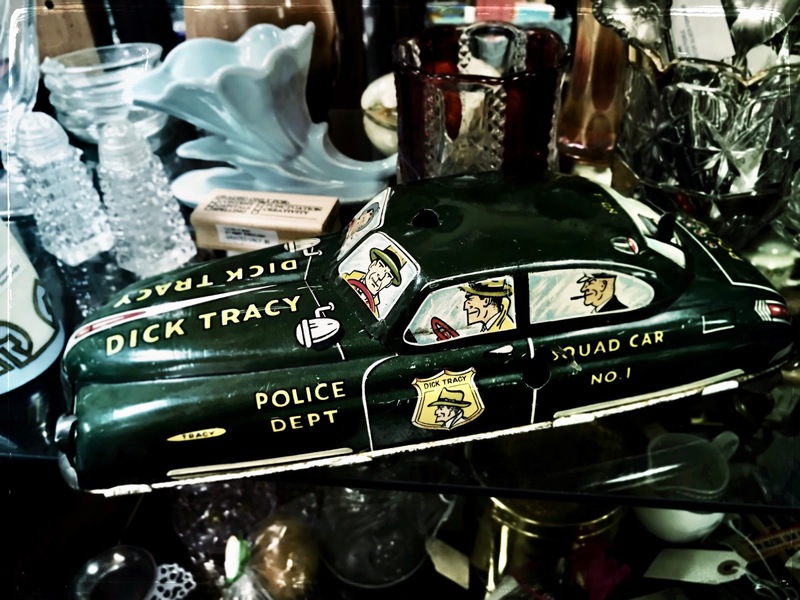 “Tin toys began as large sheets of tinplate cut down to size using large presses and cutting dies. The next step would be to form these smaller cut sheets into desired shapes with some contour to them. This laborious process was either done with a rubber hammer in hand or with a large die press. Tinplate sheets sandwiched between two large engraved plates would cut out window holes or doorways with force coming from both plates. 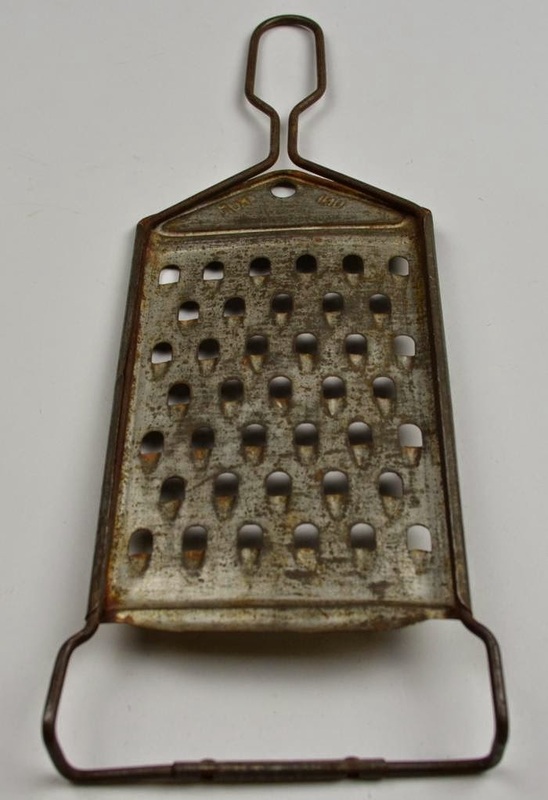 After tin sheets were cut and formed to shape they would be soldered together by experience tinsmiths. Finally the painting phase would begin which perhaps required the most skill and attention to detail. An array of brilliant enamels would be applied to the tinplate and baked in an oven between coats to ensure the durability of the paint. Finally gold lining and finely detailed embellishments (such as painted rivets, destination signs, and flags) would be applied all by hand. Stamps and brass engraved name plates would be applied and the final produce sealed with a coat of varnish to ensure a brilliant finish that would last for decades (even centuries) to come. 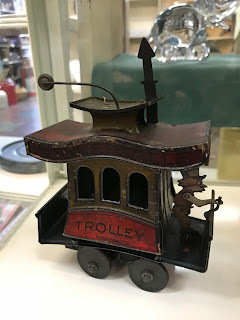 Surely pieces still existing today in excellent condition which were produced in this period are a testament to the skill of Märklin craftsmen.” (borrowed from Marklinstop, History of Marklin). 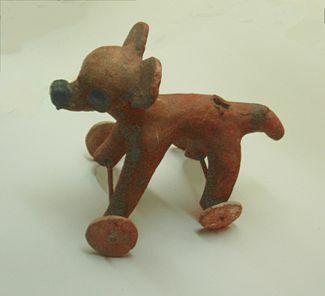 Other companies who got in on the toy action were Bing Toy Company from Nuremberg, jumping in around 1905 with their GBN brand. They became the biggest toy factory in the world, closing in 1933 with the rise of anti-Semitism and persecution from the German government. 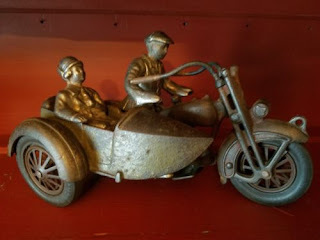 Lehmann came along in the 1900s and their toys were very clever, always featuring moving parts. Their entire focus was on the overseas market. These high end companies were quickly followed by Arnold and Schuco who made “penny toys’ for a market that couldn’t afford to spend a lot of money. Lots of these toys are out there for collectors and many of the smaller ones are both adorable and affordable. 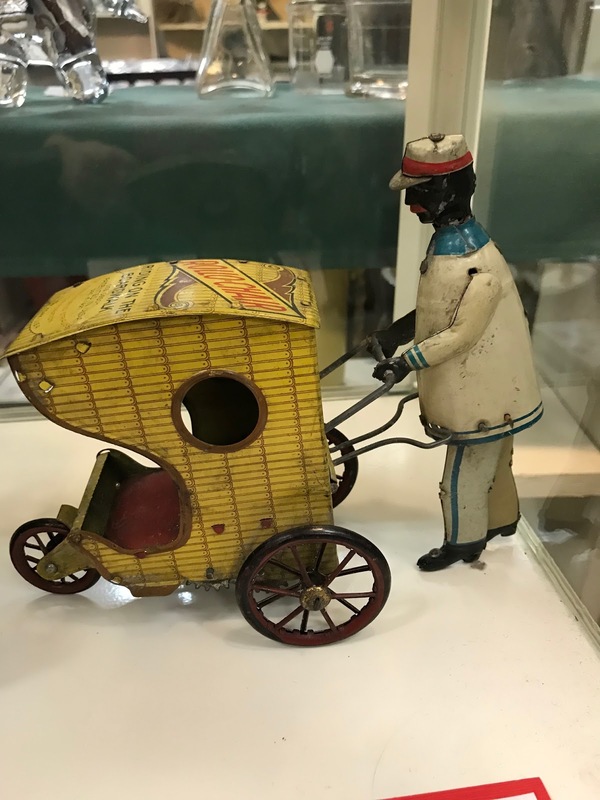 America wasn’t going to stand by and be left behind in a lucrative market, and in 1919 Marx Toy jumped in and made it big in the tin toy arena. They partnered with Disney in later years and Louis Marx was called the Toy King. How cute is this? An antique Toonerville Trolley, commercial tie in, in Space 8 at Finders Keepers. Pressed steel and new technology came along in the 1900s in the USA and it became popular because it was easier to bend and didn’t rust or crack. By the 1930s the US manufacturers were locked in a fight for toy dollars. The US answered by putting a tariff on imported toys which sent their prices up and opened the market for American manufacturers to compete. Forward thinking toy makers like Kingsbury figured out the commercial appeal of a car just like a real vehicle. 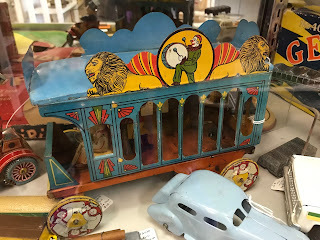 Their “Bodies by Fisher” line just like real cars, are still some of the most collectible pressed steel cars ever made. 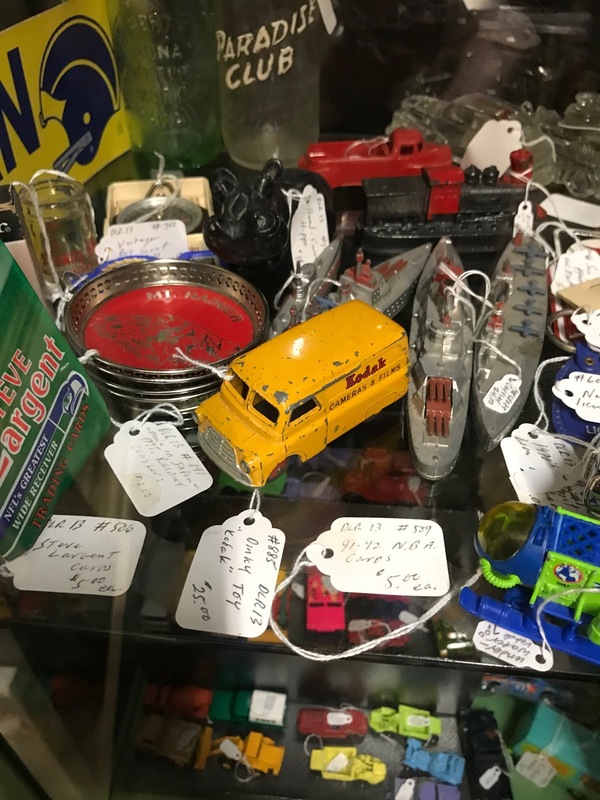 Collecting vintage wheeled toys is a really big deal; just take a look at the eBay listings and collectible car websites. Some are really expensive and others are affordable for the normal mortal. 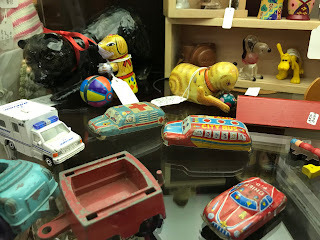 Finders Keepers in Olympia, where my vintage space is, always has dealers with amazing toys for sale and we always have collectors on the hunt. Lots of them are granddads collecting for their grandkids and a lot are fulfilling dreams they had as kids because now they can afford these amazing collectibles. Many are kids with parents who are getting the child started on the path to understanding the quality of the collectible as opposed to plastic junk pouring out of China. 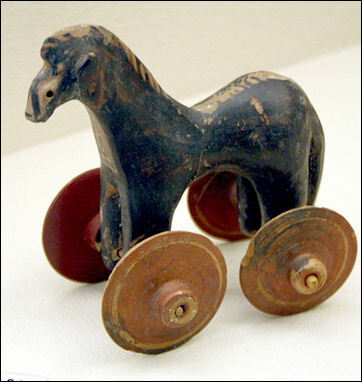 These toys mark a special part in history, from the beginning of the 19th century to the end of the 20th century. 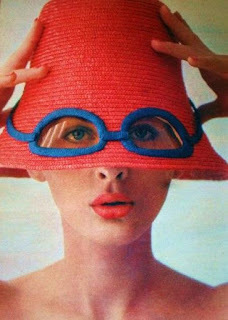 It’s a logical encapsulation of a special period in history that we can view through toys if we take the time. And Tonka Trucks just keep enchanting kids of every generation. This post would last for days and bore everyone to death if I tried to cover anything but the history of toy vehicles with wheels, there is so much to say and write about, that a future post will take a look at the rise of the mighty Tonka trucks, Buddy L’s giant vehicles and tiny die casts cars that are a market all by themselves.